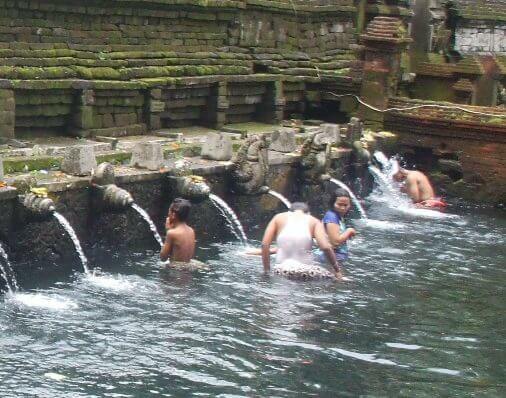 Pura Tirta Empul is very famous and there are an "ancient bathing pool" fed by springs throughout the year. For local or Hindu belief, the spring was highly sacred and respected. These springs are highly trusted for healing, prosperity and spiritual. In Hindu belief the water has a very important role in terms of both physical and spiritual. Melukat or purification ceremony is a process for cleaning the spiritual and physical body with water as the medium. Let's take a closer look to the amazing of Tirta Empul Bali! Melukat can be done for various purposes such as calming the mind, increasing the positive energy, healing, ancestry, dignity, welfare and others. 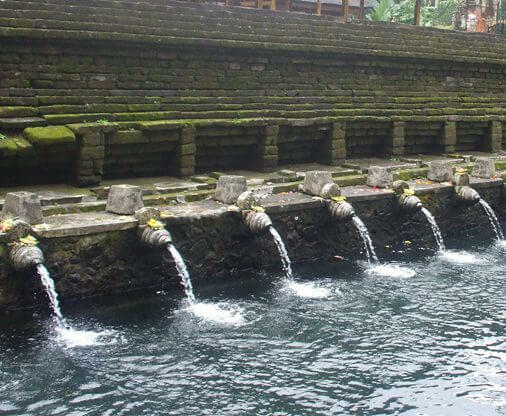 Pura Tirta Empul is one of the places recommended for purification ceremony. On any given day as Kajeng Kliwon, Manis Galungan (a day after Galungan Ceremony), Manis Kuningan (a day after Kuningan Ceremony) and piodalan anniversary at the temple are believed to be the best day for purification. In preparation, visitors can pray and deliver the offerings near the showerhead. Followed by wetting your head and wash your face. After "melukat" visitors are able to continue for worship. Tirta Empul Temple Complex is divided into three parts, namely the front (Jaba Pura), middle (Jaba Tengah) and the inside (Jeroan). Tirta Empul purification ceremony is held in the middle or Jaba Tengah. First Place consists of 13 showerheads to eliminate the negative things also for "ruatan" or purification themselves. In addition to showerhead 1st, 11th, and 12th can be used for melukat or purifikation. Showerhead 1st is devoted to the god’s bath in the Bayung Village in Kintamani, Bangli. Showerhead 11th and 12th is devoted for holy water or tirta in Pitra Yadnya ceremony for the Hindus. Second Place there is 8 showerheads. The two most western showerhead earmarked for cleanup due to exposure to insult and cast oath. Third Place there is 5 showerheads or Pancaka Tirta. This place is not enabled for bathing. Visitors can only enter this location after doing the purification in the first and second place. Visitors will do praying ritual and sprinkled with tirta from all the five pancoran. Furthermore, visitors are able to worship inside the temple or Jeroan. In the era of Indonesia's first president, Sukarno, he built a villa located in west side of The Temple which further known as Tampaksiring Palace. The palace of Tampaksiring is one of the 6 presidential palaces in Indonesia. This palace was built between the year of 1957-1960 and covering an area of 19 hectare. The buildings are scattered around this area. The main palace has a spesial location on a higher ground and overlooking Tirta Empul Temple and Mount Agung. Soekarno used this place during his trips to Bali. This villa has brought the name of Tampaksiring known world widely. There is a myth behind the temple, which tells the story of God Indra who descend to earth to subdue the King Mayadenawa. Mayadenawa did not believe in God and refuse to perform the ceremony for the God. Mayadenawa also ordered his people to do the same. This situation made the gods angry and sent Indra with his troops to subdue Mayadenawa. Confrontation between God Indra and King Mayadenawa begin. In battle, Mayadenawa use his trump card, chemical weapon, which poisoned Indra troops to death. Indra feel cheated and not received, then he thrust his weapon into the ground and forming springs. 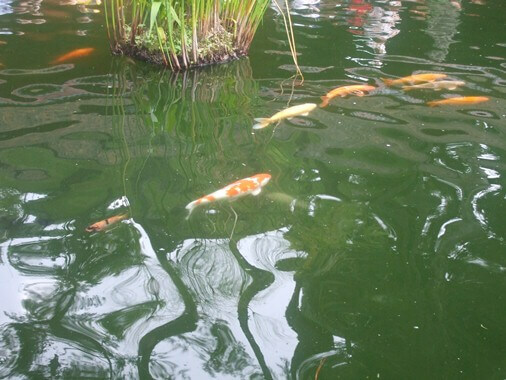 The water is cleaning all the toxins in the troops body and bring them live again. The battle continues until Mayadenawa successfully subdued. Till this moment, this myth become the legend of the springs temple. Historical records mention this sacred spring temple was built in the 9th century AD in Warmadewa Dynasty Era of Ancient Hindu Kingdom in Bali. The holy spring is located inside the temple and flows to the ancient bathing ponds, koi ponds, and other pools around the temple. Furthermore, the flow of water heading towards Tukad Pekerisan or Pekerisan River. Some sources say the fountain is derived from the flow of underground water. The water is flow to the surface through cracks and crevices in the rocks. Furthermore, the water is contained in the pools around this temple. Truly a priceless gift of God! This amazing temple is located in Manukaya Village, in the District of Tampaksiring, Gianyar Regency, Bali. Visitor can access this place directly from Ngurah Rai International Airport, about 52 Kilometers (1 hour 30 minutes) through Jalan Prof. Ida Bagus Mantra. 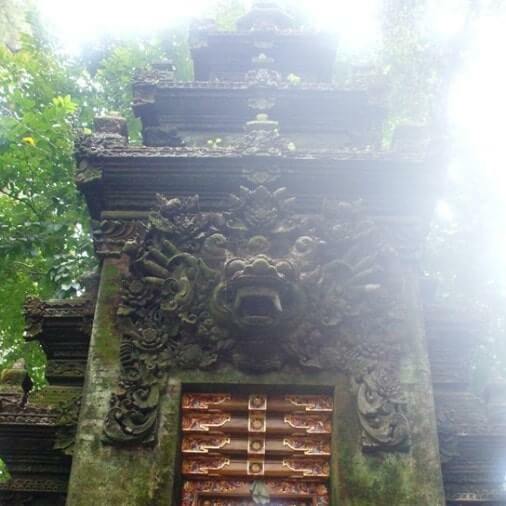 This Temple location is close to another tourist spot such as Ubud Palace about 13 Kilometers (30 minutes), Ubud Monkey Forest, Yeh Pulu, Goa Garba, Goa Gajah, and Gunung Kawi. Located in Manukaya Vilage on Tampaksiring area, this temple area is influenced by Very Wet Region Climate (A type climate based on Schmidt-Ferguson climate classification maps). Dry month ins September and Oktober. Tampaksiring has long rainy season (10 month) so there is always water source throughout the year. In addition, the soil in this area is very fertile because of the volcanic soils derived from volcanic group Buyan-Bratan-Batur. The abundance water source combine with fertile vulkanic soil make this area most suitable for rice fields. 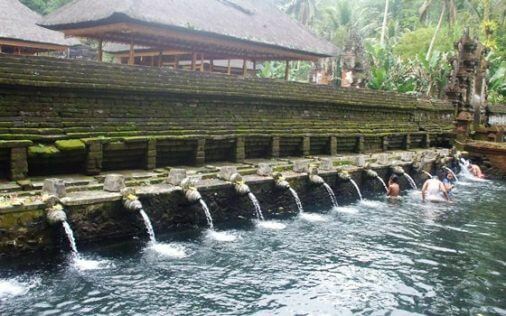 Tirta Empul Temple is part of the subak system in the Pekerisan Watershed. The Subak Landscape Of The Pekerisan Watershed has been designated by UNESCO World Heritage Center (in Cultural Category) as a Cultural Landscape of Bali. The Pekerisan Watershed is part of Subak System in Bali as a manifestation of the Tri Hita Karana Philosophy. Subak as the cooperative social system that controls the water have together shaped the landscape over the past thousand years and are an integral part of religious life in Bali. Water temples are the focus of a cooperative management of water resource by a group of subaks . Since the 11th century the water temple networks have managed the ecology of rice terraces at the scale of whole watersheds. In total Bali has about 1,200 water collectives and between 50 and 400 farmers manage the water supply from one source of water. The property consists of five sites. The sites are The Supreme Water Temple Of Pura Ulun Danu Batur, Lake Batur, The Subak Landscape Of The Pakerisan Watershed , The Subak Landscape Of Catur Angga Batukaru, and The Royal Water Temple Of Pura Taman Ayun. Touch the cool freshness of spring water and feel the magical wisdom within the ancient bathing pool. 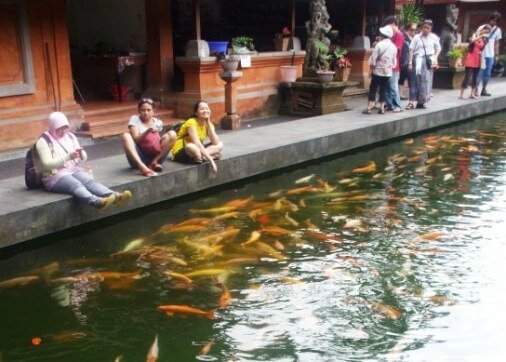 Take your time to Travel to Pura Tirta Empul Bali, hopefully helpful and thank you!